Eugen Bracht moved to Darmstadt with parents. There he was a pupil of the painters Friedrich Frisch and Karl Ludwig Seeger. He continued his studies at Karlsruhe, supporter by J.W. Schirmer. In 1861 he became a pupil of Hans Gude in Düsseldorf. But he was dissatisfied with his work and in 1864 decided to become a merchant in Berlin. In 1876 he wanted to become a painter after all and he joined his former teacher in Karlsruhe. He mostly painted landscapes. In 1880/1881 he travelled abroad. In 1882 he became a teacher at the Art Academy in Berlin and in 1883 he painted a panorama of the Battle of Sedan together with Von Werner. In 1901 he obtained a teaching position at the Art Academy in Dresden that he held until 1919. 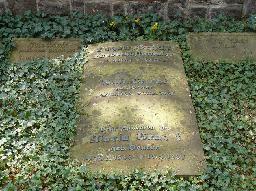 After his retirement he lived in Darmstadt where he died in 1921. 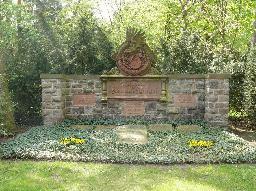 The grave of Eugen Bracht at the Waldfriedhof, Darmstadt.